Advertising for Nagasakido Castella cake (長崎堂のカステーラ) in the Sunday Mainichi (サンデー毎日) of July 10, 1938 (Showa 13). This weekly Japanese magazine was established by Mainichi Shimbun in 1922 (Taisho 11) and is still being sold today. 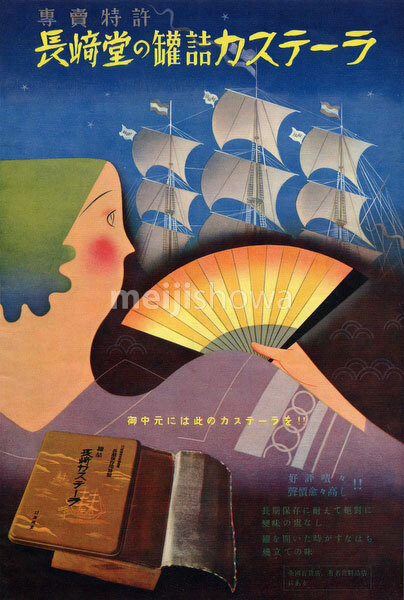 The now famous Nagasakido company started experimenting with ads like this one in 1937-1938.